One of the summer's most-anticipated new restaurants has set an opening date. 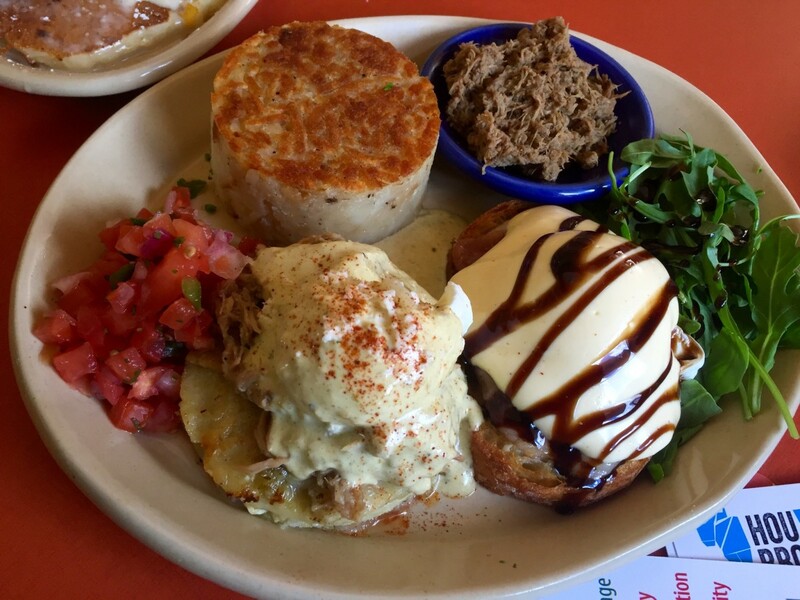 Snooze, an A.M. Eatery will open its Montrose location on Thursday. 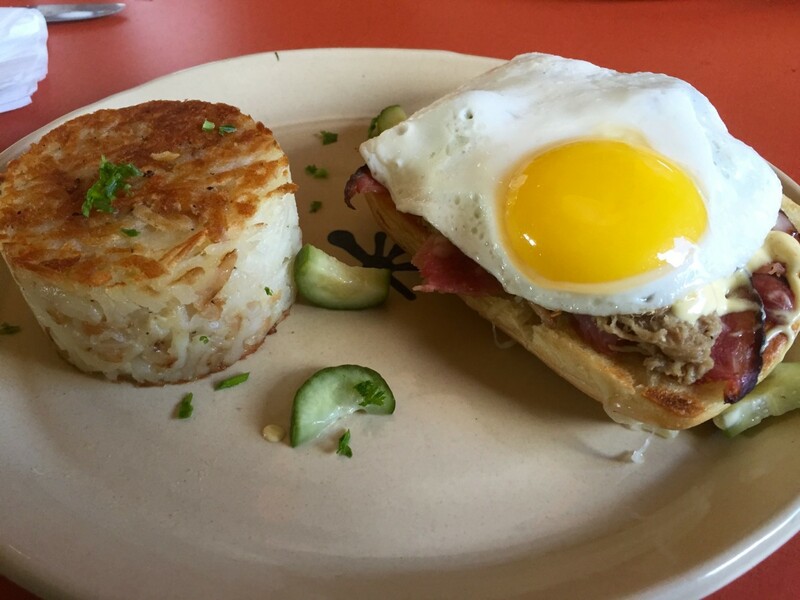 The Denver-based all-day brunch concept is already causing a frenzy in Austin, and, if the full dining room for Tuesday's invite-only training session is any indication, Houstonians are pretty excited to see what all the fuss is about. A key part of that appeal comes from the relentlessly cheerful staff. Even with a full dining room at 9 am, the staff is smiling and energetic. It's not just a show for the media member in the dining room — every table is getting the same treatment. "It’s not hard," Snooze regional manager John Schneider says with a laugh. "We have amazing coffee to get us energized. I think when you have amazing people that you work with and you work for, it gives you that energy to get up in the morning and turn it on right away." 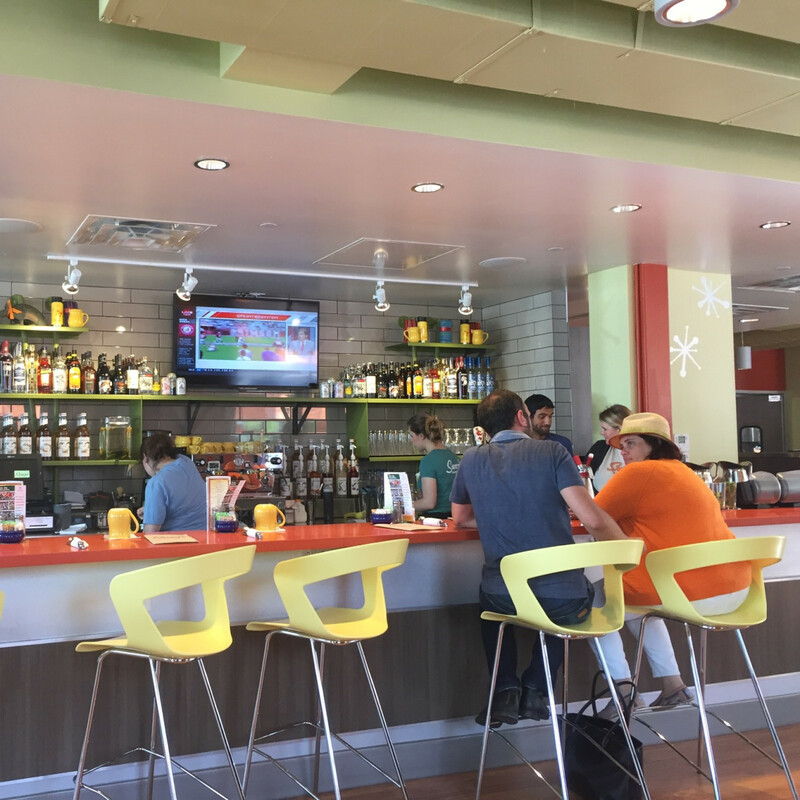 Located on Montrose just south of Westheimer (once the home of Interfaith Ministries), Snooze's dining room has a cheerful feel, with bright pops of the logo's signature orange appearing throughout. A tidy bar serves as a reminder that, unlike a diner or other places that traditionally serve breakfast during the week, Snooze pairs its pancakes and Benedicts with a full menu of wine, beer, and cocktails. "It’s not a bar scene, but we do have a lot of people who come from those medical districts. You might have had an evening working in an ER or something of that nature and want to enjoy a nice Bloody Mary or great mixed cocktail," Schneider says. "It’s a great place to meet. You’ll see different groups of people throughout the morning. People who are on their way off work or those individuals who may be kick starting their morning or preparing themselves for the day." 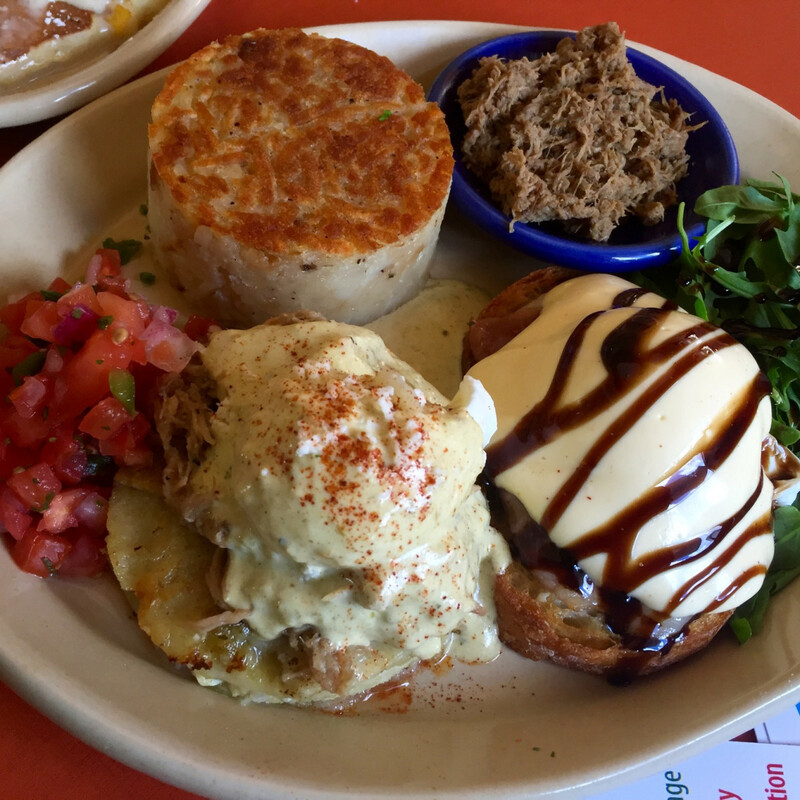 Those people who are starting their day at Snooze instead of ending it might prefer to stick to coffee; in addition to their house blend, the restaurant serves locally-roasted beans from Boomtown Coffee. Other local suppliers include Slow Dough Bread Co and beers from familiar favorites like Saint Arnold, Karbach, and Buffalo Bayou on tap. 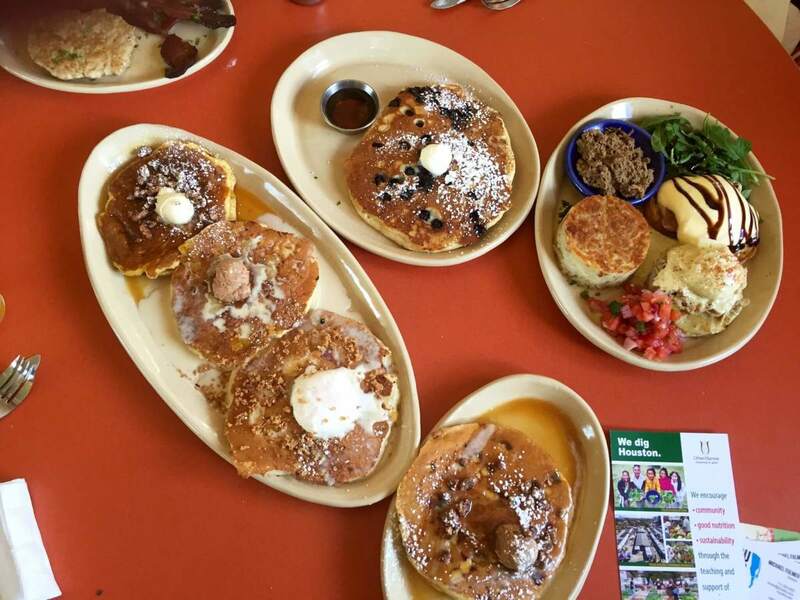 The extensive menu offers traditional egg dishes (omelets, eggs cooked in any style), six different Benedicts, breakfast sandwiches, several different pancake options, and even a few lighter options like quinoa porridge and spring greens. 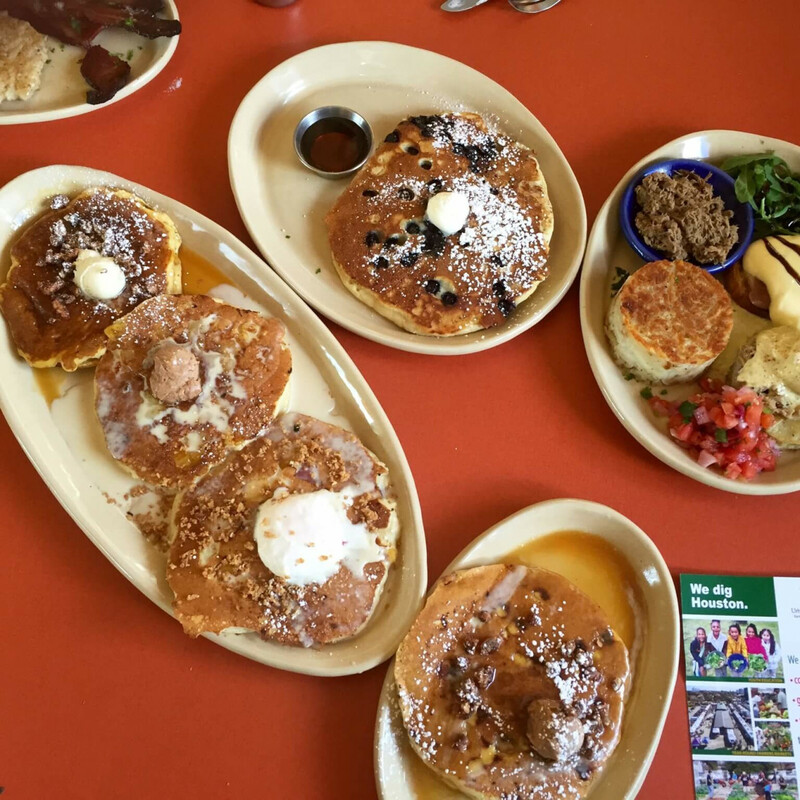 Those who can't quite decide what to order can take advantage of the ability to order a Benedict duo or a pancake flight (choose any three) as well as various a la carte options. Yes, that means it's possible to add a blueberry pancake and bacon to that breakfast burrito. 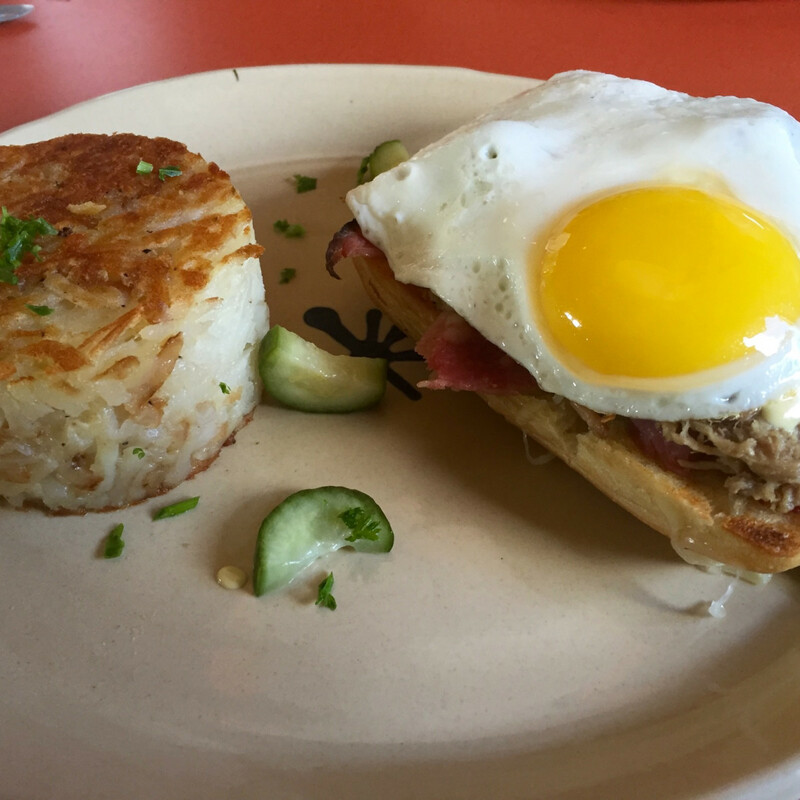 Snooze is clearly a step up in terms of ingredients and preparations from traditional diners and is more in line with weekend brunch at fancier restaurants. For example, the Italian-style Bella! Bella! Benedict is topped with both prosciutto and Taleggio cheese with an arugula salad on the side to provide a little acidity that cuts the rich flavors. At this point, the biggest challenges seem to be managing the inevitable wait for a table on weekends (something they do well in other cities) and the restaurant's limited parking. It only has about 20 spots during the week, but Schneider says they're in conversation with the Walgreens across the street to secure additional spots. 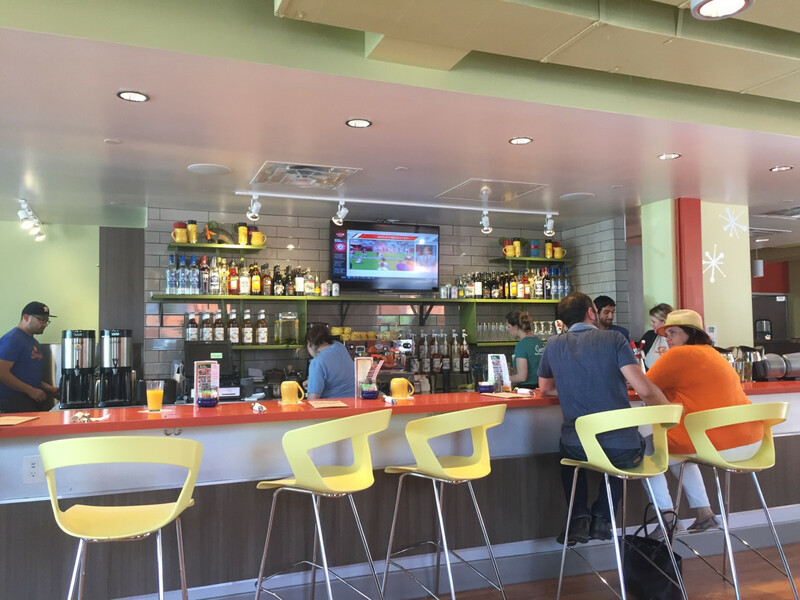 With the opening of the Montrose location, Snooze now operates 17 restaurants in Colorado, Arizona, California, and Texas. Austin already has two. Will we see more in Houston? "There could potentially be one on the horizon," Schneider says. "I think Texas will be a good opportunity for us to open some new, future Snoozes."